Last week, St. Michael’s hosted its annual Vacation Bible School. 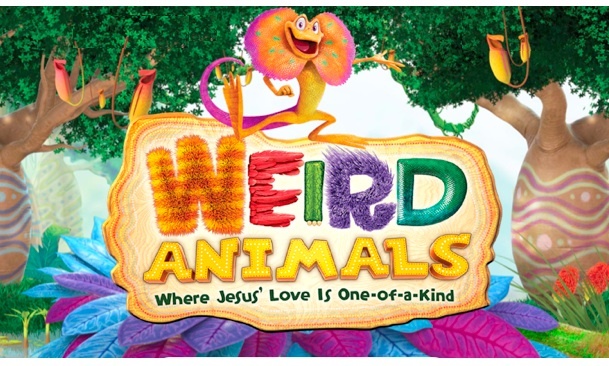 The theme was “Weird Animals.” The kids learned that Jesus loves you even if you’re different. They participated in games and crafts, and practiced songs and dances. The kids also learned the hymn “All Things Bright and Beautiful.” Each evening kicked-off with dinner under the sea, followed by the evening’s activities, which included passage through an underground mole tunnel, and Bible story in the jungle. Each evening wrapped up with compline (kids version!) in the sanctuary. Many thanks go out to our great team of volunteers who: prepared dinners, served, cleaned-up, assisted with crafts and games, and helped in a variety of capacities as needed. The week wrapped up with an ice cream social. It was a fantastic ending to a fun-filled week! This entry was posted in Children and Youth, Guardian Articles and tagged Guardian, Youth. Bookmark the permalink.